This CC Cream from It Cosmetics is so good. It's a lightweight foundation with all kinds of added benefits to it including SPF 50. I have used many moisturizers and foundations that have some level of SPF in them and I still burn but not with this one! In all honesty, I did not realize this was a foundation at first; I thought it was just a tinted primer. I now realize I can get away with just wearing this for simple no/little make up days. It does a great job of evening out my skin tone and providing a little coverage. However, if I'm going all out and putting on a full face of makeup I'll use this as a primer/base coat and top it off with a thin layer of foundation. It works great either way! I stopped using all forms of makeup remover and switched to baby shampoo for washing my face. It removes makeup a thousand times better than any makeup remover I've ever tried, even waterproof mascara! It's gentle on my face, erases every trace of makeup, and doesn't irritate my eyes. Plus it smells good and is super affordable. One bottle will last you forever. I love candles all year round, but especially when the weather starts to turn a little chilly in the fall/winter time. Bath and Body Works have the best candles for fall scents. The hot cocoa and cream candle smells like brownies baking when you've got it burning at home. I'm currently burning it right beside the marhmallow fireside and let me tell you, it's heavenly. Incoco nail polish applique's are the best way to keep my nails looking nice. I have been using these for about a year and there is no other DIY nail product that compares. They come in solid colors, prints, and french manicures so you can be as basic or as wild as you like. They are stickers made out of real nail polish. Super easy to put on and take off! You don't have to soak your nails in acetone, just use some regular nail polish remover and it wipes right off. I'm currently wearing cloud nine, which is my favorite french manicure and I've had it on for 17 days and it's still going strong. I typically get 10-14 days out of each set of appliques, only changing them because my nails have grown so much. For any at home manicure you need to be using Seche Vite quick drying top coat. You put it on super thick (which is scary the first couple times) and then it quickly dries into a beautiful shine that will protect your color like nothing else. I top my Incoco strips with a coat of these every 5 days to help them last as long as possible. I'm currently binge watching Hart of Dixie on Netflix. Yes, I know it's an old show, but it's new to me. A doctor from New York City ends up in a small town in Alabama. It's very much Doc Hollywood meets Gilmore Girls. I've used the Simplified Planner for the past year and I love it. I'm hoping to get another one for next year, but they are so expensive so I'm crossing my fingers for a Black Friday sale. This planner is worth every penny for me. I keep it on my desk at work and it does everything I need it to do to keep my work life organized. 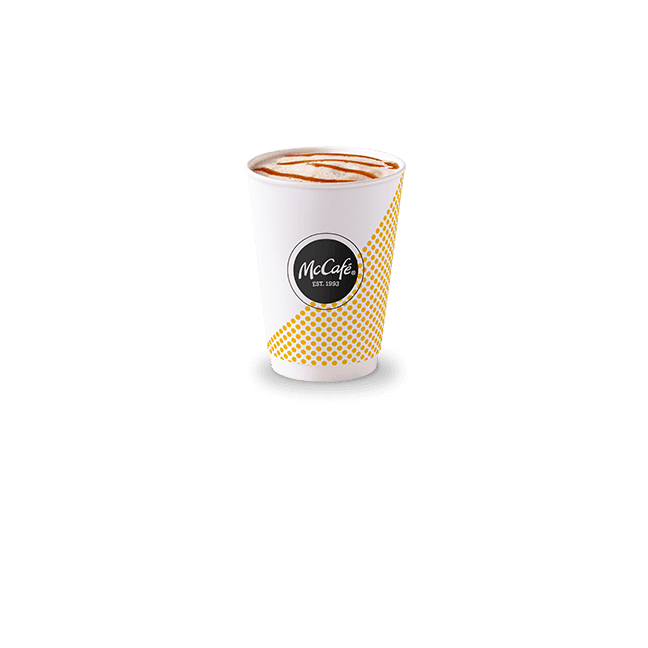 McDonalds Caramel Macchiato. Yum! I do not like coffee but do enjoy the occasional sugary drink that attempts to pass as coffee.